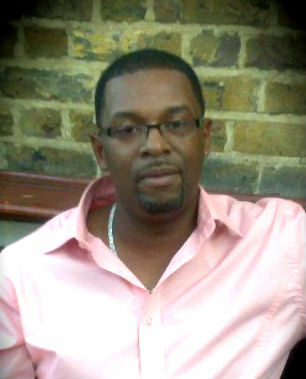 DJ Don Karlos on Backayardradio.com - He will broadcast each Thursdays from 9pm -1am (GMT) where he is scheduled to play an eclectic mix of music including the old and spanking new music on various genres such as R&B, Reggae, Jazz and Gospel music. One can also enjoy the best in slow jams, smooth vocal reggae and some lovers rock. If you ask DJ Don, he would tell you that music is a big part of his life. Born in London into a family of 8, DJ Don's first deejaying audience was actually his brothers and sisters; he would entertain them with his father's music when their parents were out. He also embraced another angle of music by singing in the school choir when he was just 10 years old. DJ Don fondly remembers performing with his choir in front of over 800 people at Fairfield's Hall and later at the Royal Albert Hall. During his formative years, he took his love for music to yet another level as he teamed up with school friends who would arm themselves with speaker boxes, amps and turntables to entertain during the lunch time hour. At age 16, DJ Don bought his own pair sl 1210 turntables and equipment and as well as a keyboard where he would practice mixing and making tapes for friends. He continued to hone his deejay skills under the influence of deejays such as Saxon, Lord David, King Tubbys, Frontline, Fatman and many more. He also took a liking to the unique styles of entertaining the crowd from DJs Mastermine, Steve Walsh, Tony Blackburne and Greg Edwards. His passion for the artform led him to connect with sounds systems in his local area and he ultimately moved around with Sterograph from Brixton travelling and entertaining the masses throughout the country. He also kept large parties where he would put his skills to work; this led to even more gigs from those who attended. Over the years, he has worked extensively doing deejay work for private parties in London and also serves as an MC at raves. When DJ Don isn't at the turntables, he can be found enjoying some well-deserved rest and relaxation in beloved Jamaica or dabbling in a bit of songwriting. DJ DOn hopes to the put out an album of his songs one day. Tune in every Thursday night on http://www.backayardradio.com with DJ Don; he promises a musical ride you won't forget!